Olga Boukrina, PhD, research scientist in Stroke Rehabilitation Research at Kessler Foundation, has received a two-year, R21 award from the Eunice Kennedy Shriver National Institute of Child Health and Human Development (NICHD) valued at $400,000. The grant funds a study exploring a potential neural mechanism that could explain recovery of impaired reading after stroke. "Using a novel neuroimaging technique called perfusion functional Magnetic Resonance Imaging, we will see if the re-appearance of reading-related brain activity in the left-hemisphere is associated with recovery," noted Dr. Boukrina. "The ability to predict recovery from neuroimaging has tremendous value in rehabilitation for generating prognoses. It may also dramatically improve the quality of research evaluation for novel, targeted interventions such as noninvasive brain stimulation or pharmacologic therapies." 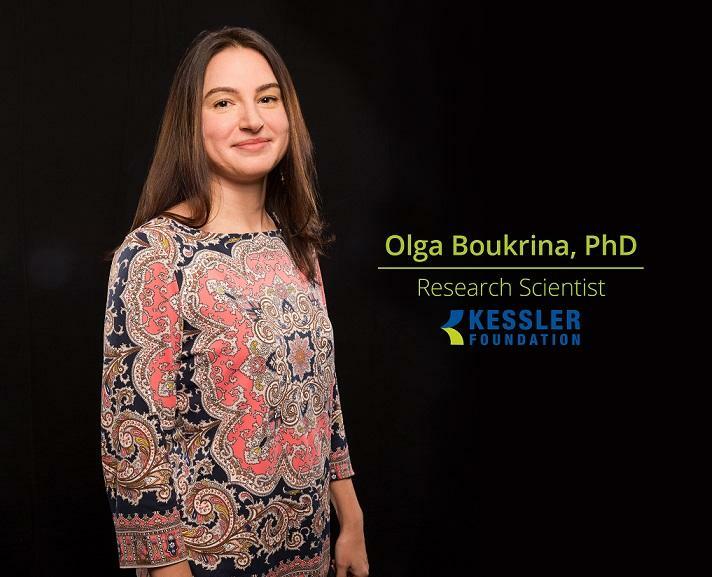 Dr. Boukrina discusses her research on reading deficits in the stroke population in this Expert Interview podcast: https://soundcloud.com/kesslerfoundation/eis-olga-boukrina.